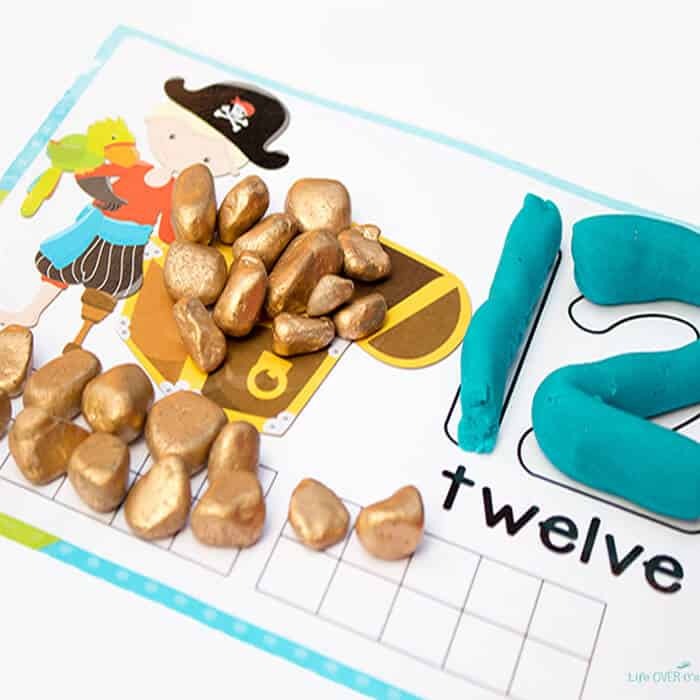 Yesterday, I shared with you our free pirate play dough mats for numbers 1-10 and today I have their accompanying set. 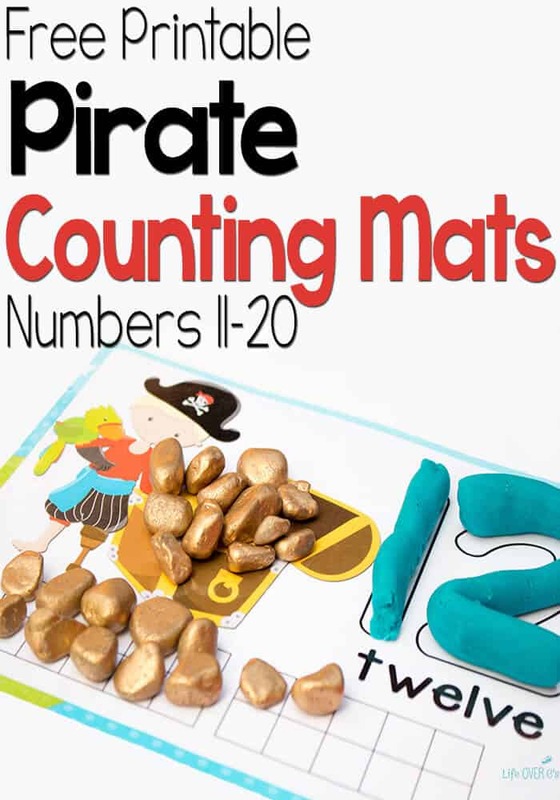 These free pirate play dough mats for numbers 11-20 go right along with all the piratey fun that the 1-10 set gives! 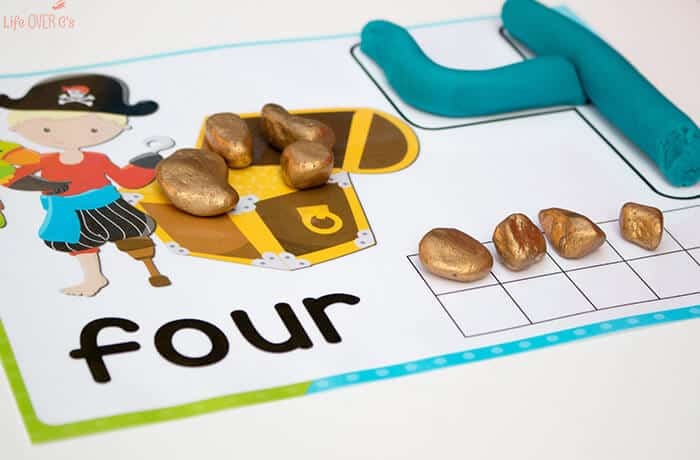 It’s perfect for kindergarteners who are learning all about numeracy! Make sure you get the 1-10 number mats too!